DSP Wage Bill to Governor! 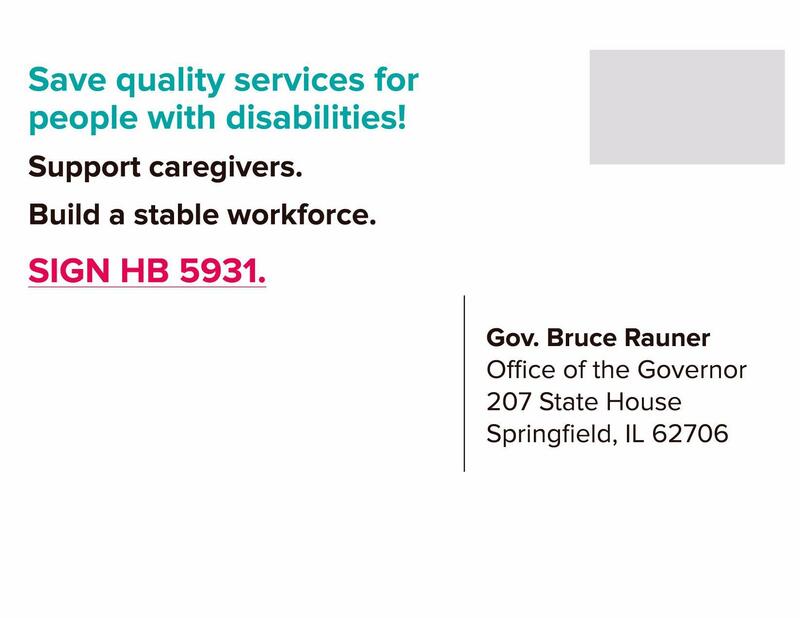 The bill to increase wages for DSPs is now on the Governor’s desk. 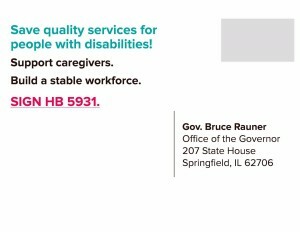 If you’d like to advocate for this bill, the coalition is is having people send postcards to Governor Rauner. You may also want to give feedback to our legislators and candidates: Representative Skoog voted in favor of the bill. Senator Rezin didn’t. Their opponents in the election have not taken positions on the bill that we are aware of.